Arab in Black’ is a painting that was donated in order to fund Nelson Mandela’s legal defence when he was tried for treason in the 1950s. Painted by Irma Stern and valued at up to £1 million, it was spotted by an art expert covered in bills and letters and being used as a noticeboard in a London flat. Irma Stern is regarded as South Africa’s leading artist and her works have been increasing in value dramatically. 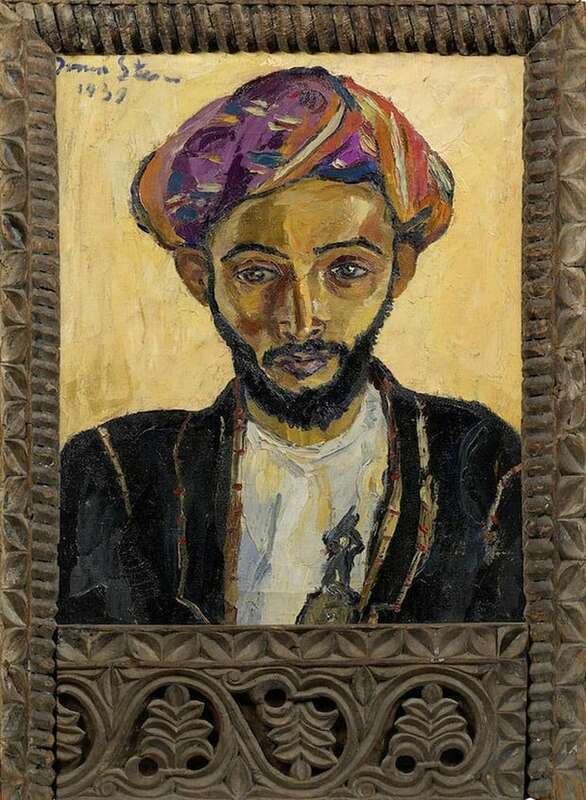 ‘Arab in Black’ was recognised by Hannah O’Leary, who is Bonhams auction house’s specialist in South African art, whilst conducting a valuation of the flat. Irma Stern died in 1996. She lived in Cape Town and her home there is now a museum. The prices for her work have been on the rise, and one of her other paintings set a world record at Bonhams in 2011 when it sold for £3.1 million. Arab in Black was given to politician Janet Suzman in the late 50’s for a charity auction to raise money African National Congress activists who were on trial for treason and facing the death penalty. The frame on this particular painting is very rare and valuable itself. It was made from carved, antique door cases from Zanzibar, which you’re no longer able to export. Stern worked over in Zanzibar on a number of occasions and used the elaborately carved frames for only her best work in the 30s and 40s. The present owners were said to be shocked and astonished when they found out the value of the painting. Whilst they knew it had some value, they had no idea of it’s importance and provenance. The painting will be sold at the Bonham’s auction of South African Art in the autumn.